Many couples dream of getting married at one of the countries historic wedding venues. If wedding bells are in your future, Cape Cod provides everything you have ever dreamed of for a truly unforgettable wedding location. With miles of beaches and historic roots, Cape Cod offers soon-to-be married couples a naturally intimate and romantic destination. 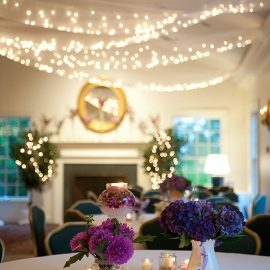 While there is certainly no shortage of venues worthy of your nuptials on Cape Cod, only a few can truly provide you with an absolutely magical experience. An oceanfront ceremony with breathtaking views and historic charm on the Cape Cod is not a dream. You can find it all here at The Captain Linnell House. Planning a wedding takes a lot of work. One of the most difficult decisions you’ll need to make early on is deciding on a location. While there are several beautiful locations to choose from all with their own unique attributes, the legendary beaches of Cape Cod are known as one of the most popular wedding destinations in the country. If you already have your heart set on Cape Cod, you will find there is just no other option than The Captain Linnell House. 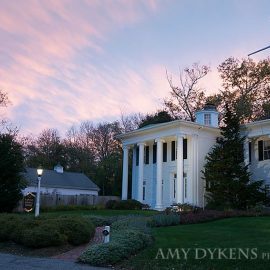 With french doors and windows that open to extensive gardens, this is the only place where you can celebrate your perfect day in a private mansion just steps away from Skaket Beach. If you are looking for a bit of heaven on earth, Skaket Beach is as close as it gets. Skaket Beach is one of the warmest and most breathtaking beaches found on Cape Cod Bay. Known for its soft fine sand and amazing sunsets, Skaket Beach offers the picture perfect backdrop for your dream beach wedding. Choosing the right wedding venue is a big decision. 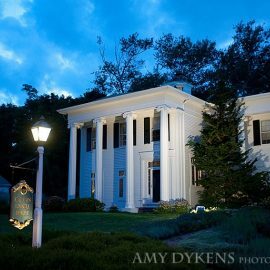 When it comes to historic wedding venues, The Captain Linnell House is the place for a magical experience. 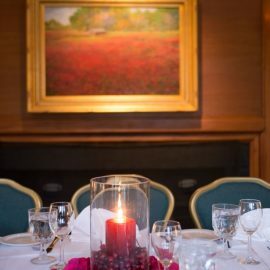 With a fascinating setting, expertly prepared cuisines, and impeccable service, it fully encompasses everything you’ve had in mind for your special day. Contact us today for more information on The Perfect Package!